Question: "'Canadian record holder, Matt Hughes.' How does that sound?" Matt Hughes: "Ha ha I've been dreaming of hearing that beside my name for a long time, ever since I was a little kid just getting started in the sport." 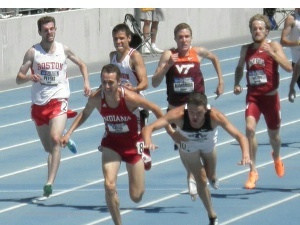 - Matt Hughes, Canada's new steeplechase record holder (8:11.60), talking in an extensive Athletics Illustrated Interview. 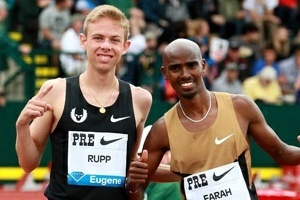 Hughes will end his track season at the first of two Dimaond League finals in Zürich on Thursday. Wheating's back, back again! Wheating's back, tell a friend! Monday: Linz, Austria Action: Bernard Lagat Over Will Leer In 3k, Andrew Wheating 2nd In 1k Wheating ran 2:18.36 but lost to Ireland's 1:45 man Paul Robinson. MB: Wheating's back, back again! Wheating's back, tell a friend! MB: Linz 1000m? What happened? *Aries Merritt Beats Dayron Robles In 110H, Justin Gatlin Beats Ashmeade In 100m Sally Pearson won the women's 100H. Ugandan Wins $2,281 At Mombassa Marathon In 2:14, Wants To Run New York And London Next Meanwhile, one runner was DQed for cheating and cutting the course. Amazing Stat: Now That Jacko Gil Has Broken Dave Storl's World Junior Record, He Now Holds Every World Mark For 5kg And 6kg Shot At Every Age-Grade As a result, he says he's ready for senior competition. Soccer Mad West African Nation Of Liberia Hoping To Produce Distance Champions Soon Trust us, this isn't going to work out well. 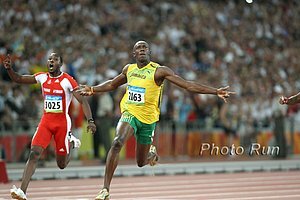 West Africans are good at sprinting and East Africans distance running. Catching Up With The Man Who Started It All And Won Africa's And Kenya's 1st-Ever Olympic Medal - Wilson Kiprugut He won Olympic 800 medals in 1964 and 1968. 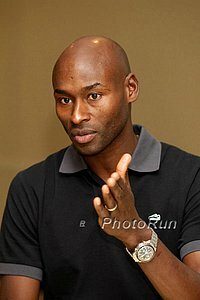 Bernard Lagat Talks About How Things Have Changed Since He Was A Young Athlete And Hints At Plans Moving Forward Lagat hints at trying the 10,000 before making a move to the roads. Andrew Wheating Reminisces About His High School Days With A Q&A With Running Times He says he wasn't "fully immersed in the running culture" in HS and often "could get away with playing soccer and Frisbee for training." Former State Champ Jumper Finds New Life In Coaching After Car Accident Which Almost Left Him Paralyzed He had a full track scholarship to Florida State, but was in an accident before he could begin his college career. Doctors said he might never walk again, but he's got to the point he can jog and coaches his at his former high school. Despite Losing 2016, Des Moines Still Hoping To Eventually Win A Bid To Host The Olympic Trials Hey, there's always 2020. LRC 15 Thoughts Looking Back At The 2013 IAAF World Championships In Athletics Now that we've had some time to recover and think about it, we take a look at the back and hand out awards for the 14th World Championships in Athletics. Read to find out who is our Best US Performer, our Biggest Flop (male and female), Biggest Surprise (US and international), our Comeback Athlete, Classiest Post Race Interview, Biggest Bonehead, and a whole lot more. Along the way, we wonder why Ezekiel Kemboi wasn't disciplined, praise the US for its best performance ever and even praise Molly Huddle and Shannon Rowbury for allegedly packing it in early in the 5,000. Unbelievable: Indians Refuse To Pass Law Disallowing Secretary General Who Was Jailed For 11 Months For Commonwealth Games Corruption From Serving India has been suspended by the IOC for their corruption and told by the IOC to get their act together, so what did India do? They passed a law saying those jailed for 2 years or more can't serve and think the IOC will fall for that. A Bit Ironic: Lenin's Russia Was Once First Country To Decriminalize Homsexuality 80% of Russians support the no pro-gay propaganda law. From David Epstein's Book: 1/10 Of Whites, 1/10 Of Blacks And 2/3 Of Asians Can Dope As Much As They Want And Never Fail T/E Ratio Test We guess Mary Slaney isn't lucky enough to have fallen in the 10%. With Niyonsaba Injured, Winner Of Women's 800 Will Win DL Title And $50,000 16 DL titles in all wil be decided. Michael Johnson Says Usain Bolt Is The Best Track Athlete "That's Ever Been" Johnson doesn't think we'll see any more WRs from Bolt, though, at this point in his career.